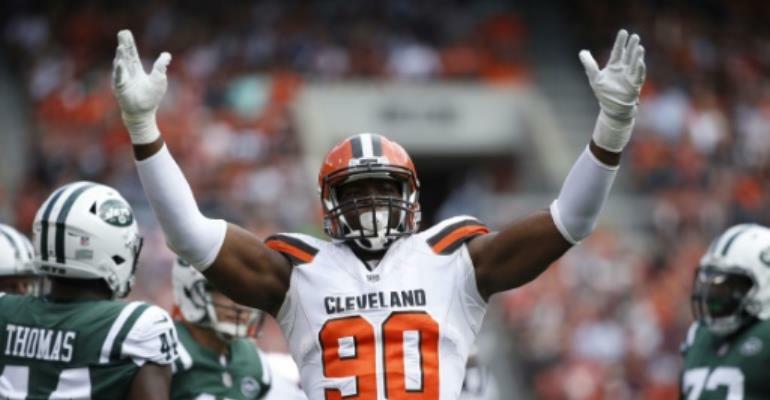 Nigerian-born NFL defensive end Emmanuel Ogbah was traded to the Kansas City Chiefs on Monday by the Cleveland Browns in exchange for safety Eric Murray. The move came a day after Ogbah did not report for the start of the Browns' voluntary off-season workout program while a trade deal was in the works. Since entering the NFL in 2016, Ogbah ranks third in the league in batting down passes at the line of scrimmage. He figures to help a revamped Chiefs defensive line that will add a player in the formation preferred by new defensive coordinator Steve Spagnuolo. In three seasons at Cleveland, Ogbah made 122 tackles, 12.5 quarterback sacks and 29 quarterback hits and started 40 games. Ogbah was born in Lagos and moved to Houston, Texas, at age nine. The Chiefs last month signed free agent defensive end Alex Okafor, whose father is from Nigeria. Going to the Browns is Murray, who started 11 times in 45 appearances with the Chiefs, making 72 tackles, one sack, one interception and seven pass deflections.